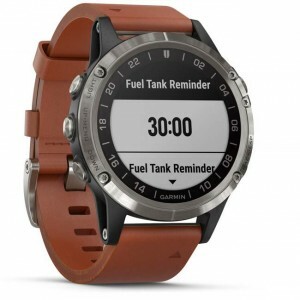 Garmin introduces the D2 Delta Aviator Watch Series | Avionics Blog – Avionics to the Max! 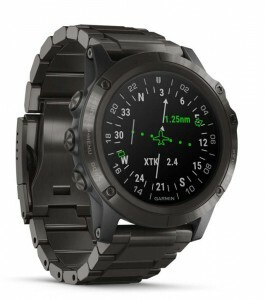 Three new GPS smartwatches with a variety of sizes and personalities. Newly added the built-in wrist based Pulse Oximeter for oxygen saturation awareness, wireless connectivity with select Garmin avionics, and Garmin Pay, a contactless payment solution, with storage for music playlists and more. D2 Delta PX – features an elegant titanium gray diamond-like carbon (DLC) finish on a large 51 mm bezel. Useful in-flight and during high altitude activities. D2 Delta PX also incorporates wrist-based Pulse Ox to help monitor oxygen saturation levels. D2 Delta S – features a stylish rose gold-tone bezel and is lighter, sleeker and smaller than previous D2 models. D2 Delta S is ideal for smaller wrists, with 42 mm bezel and a beige leather strap. D2 Delta – features 47 mm with a silver titanium bezel as well as a premium brown leather strap. The D2 Delta series seamlessly integrates with select Garmin avionics to achieve a harmonious, connected cockpit. D2 Delta can connect wirelessly to the Garmin Pilot™ app as well as the GTN™ 650/750 touchscreen navigator series or the G1000® NXi integrated flight deck via Flight Stream 510 to enable wireless flight plan transfer to the watch. When connected, all models in the new D2 Delta series can receive additional information from compatible avionics, including GPS position information, altitude, airspeed, groundspeed, magnetic heading, outside air temperature and more. Music Streaming via Bluetooth® wireless technology enriches every activity as all models of D2 Delta incorporate integrated music storage of up to 500 songs within the watch, offering phone-free listening. 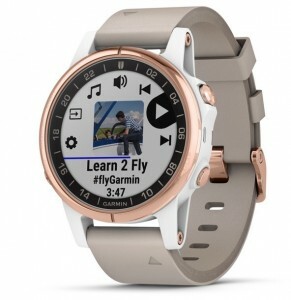 Download playlists from select music streaming services, or transfer customized playlists from a computer directly to the watch. Once the playlist is loaded, pilots can pair D2 Delta with a compatible Bluetooth technology-enabled Garmin audio panel such as GMA™ 245, GMA 345 or GMA 350c. D2 Delta can also be paired with a compatible Bluetooth headset or headphones (sold separately). All models of the D2 Delta series also include Garmin Pay™, a contactless payment solution, allowing customers to leave their cash and credit cards at home. Utilizing their Garmin Pay wallet, customers have the same benefits and rewards of the physical cards, with the convenience of having them available on their wrist. For at-a-glance updates on the weather, the D2 Delta series keeps users informed by working wirelessly with compatible internet connected smartphones. This includes access to high-resolution radar graphics (NEXRAD) and location-based meteorological reports (METARs) and terminal forecast (TAF) information — including winds, visibility, precipitation, cloud cover, temperature, dew point, barometric pressure and more. With wireless connectivity to your smartphone, the D2 Delta series also makes quick work of flight logging and other record keeping tasks. During takeoff, the watch will detect the aircraft’s change in altitude and automatically initiate the logbook function — recording date, duration, total flight time and route. Then after the flight is complete, it will sync this logbook data via the user’s smartphone to flyGa rmin.com® and the Garmin Pilot™ app. The D2 Delta aviator watch series come preloaded with a full multisport toolset for running, golfing, cycling, skiing, workouts and more. It is also water-rated to 100 meters so it can withstand swimming and other water activities. When paired with a compatible smartphone, users can send, receive and respond to text messages and see social media updates, app alerts, calls, emails and more via the watch. Garmin Elevate™ wrist-based heart rate technology also monitors heart rate 24/7 alongside daily activity tracking. Because D2 Delta is versatile and supports a variety of activities, QuickFit® bands allow users to easily switch between stylish leather and metal accessory bands to sporty silicone in seconds and without tools. All of the new D2 Delta models come preloaded with a worldwide aviation database and incorporate signature aviation accents, dedicated direct-to and nearest airport buttons as well as the option to input a customizable aircraft tail number on the face of the watch. A large, sunlight-readable, high-resolution color display with an LED backlight on the watch face allows pilots to view data in most lighting conditions in the cockpit. 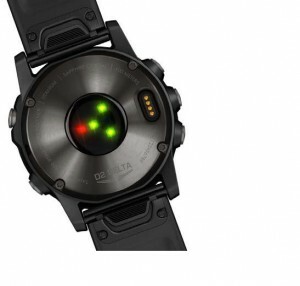 D2 Delta PX offers up to 18 hours of battery life in GPS and Pulse Ox mode and up to 20 days in smartwatch mode. Call us for more information, stop by, or you can purchase now from our webstore! This entry was posted in Latest & Greatest Avionics and tagged airplane, and glass cockpit systems, Aviation, avionic system upgrades, avionics facility, Bluetooth, cockpit, D2 Delta, D2 Delta PX, D2 Delta S, efis, Flight Instruments, garmin, Garmin Elevate, Garmin Pay, Garmin Pilot, GPS, GTN 650/750, Helicopter, Maxcraft Avionics, METARs, TAF, tcas, VHF radios, watch. Bookmark the permalink.